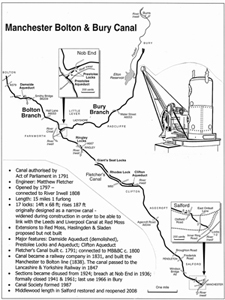 Below are a selection of Canal Maps taken from Towpath Guide 2 by Paul Hindle. 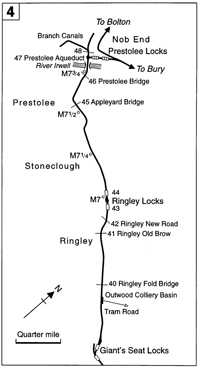 To the right is an overall map of the Manchester Bolton & Bury Canal and below are individual sections as indicated. Please click on each image for a larger version.